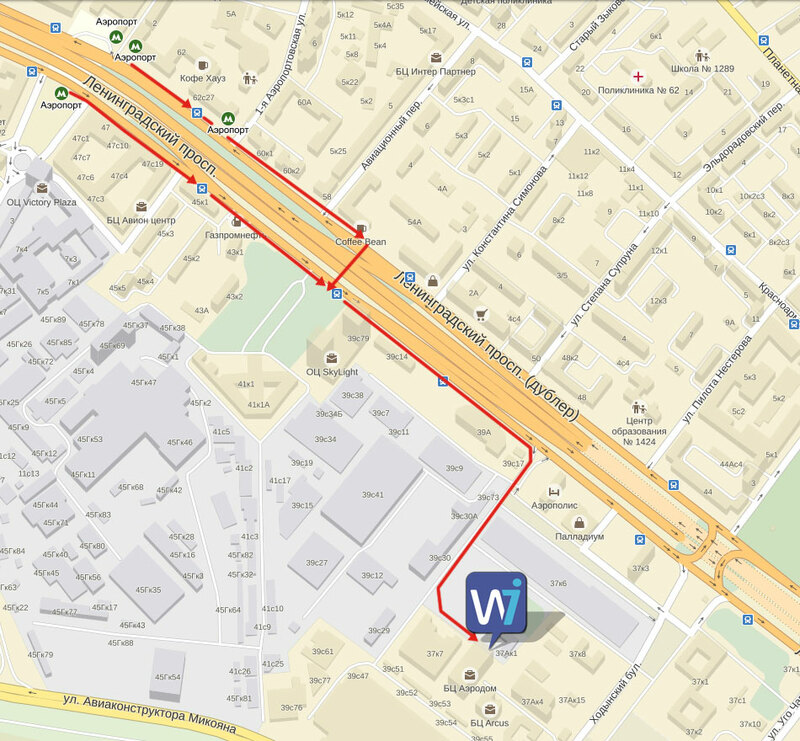 125252 Moscow, Leningradskiy prospekt 37, “Aerodom” building, main entrance, floor 9, office 920. The first car from the center, from a glass door to the left, then on the left, and go on Leningradsky prospekt to "Aeropolis" hotel, turn to the right, to go to a 14-storeyed glass building "Aerodom". From the metro Aeroport it is possible to approach on us land transport (trolley bus: 6, 12, 43, 65, 82, 86 or bus: 105, 904, 905 to a stop «the Seryogin street»). All rights reserved. Using the content is only allowed after written permition.